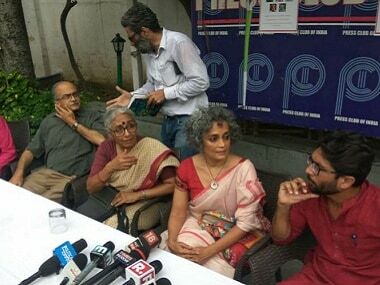 New Delhi: Author Arundhati Roy and Dalit leader Jignesh Mevani along with several other civil society members on Thursday demanded action against the Maharashtra police for launching a "vicious and mala fide attack" against human rights activists across the country and called for an immediate end to "such political acts of vendetta". The signatories to the statement include Roy, lawyer Prashant Bhushan, activists Aruna Roy, Bezwada Wilson and Mevani among scores of others. 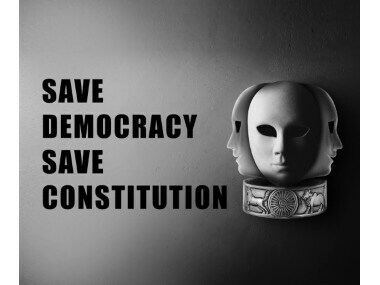 "It is a coup against the Constitution. 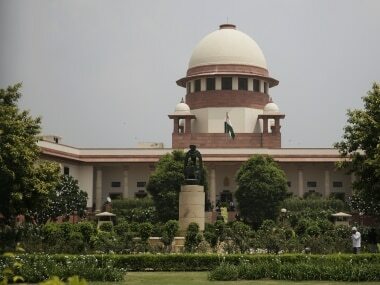 It is a very dire situation, potentially more dangerous than the Emergency," Roy said at a press conference organised by The Peoples Union for Democratic Rights (PUDR), the People's Union for Civil Liberties (PUCL) and the Women Against Sexual Violence and State Repression (WSS). 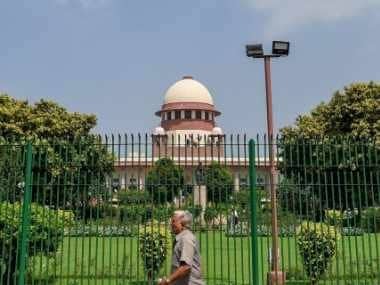 She said there is an attempt to "overturn the Constitution, to declare that this is an upper caste Hindu Rashtra in which all minorities and everyone else who does not agree with the majoritarian point of view is criminalised." The activists also demanded an unconditional repeal of the Unlawful Activities (Prevention) Act. The Maharashtra police arrested Varavara Rao, Vernon Gonsalves, Arun Ferreira, Sudha Bharadwaj and Gautam Navlakha, and raided the homes of several others as part of its probe into the 'Elgar Parishad' conclave in Bhima Koregaon village near Pune on 31 December last year. The statement by the civil society groups comes a day after the Supreme Court directed that the five activists be kept under house arrest. They also demanded that the police return the laptops and mobile phones seized during the "illegal arrest" of the activists, and make an immediate and unconditional withdrawal of the "FIR No.4/2018 at Vishrambagh Police Station, Pune, Maharashtra and all held under it". Referring to the recent surveys conducted by media groups and other organisations showing falling popularity of Prime Minister Narendra Modi and the BJP, Arundhati Roy said, "We are living in dangerous times and there will be a ruthless and continuous attempt to divert attention from the reasons for this loss of popularity and to fracture the growing solidarity of the Opposition." Recounting that a fire had broken out at a Make in India event in 2016, she said the "real fire of Make in India" is the new Rafale aircraft deal. Besides slamming the Rafale deal, she also attacked the government on several policies such as demonetisation and GST. She alleged that the government looked away while wealthy industrialists Nirav Modi and Vijay Mallya fled to other countries. Independent Gujarat MLA Mevani announced that Dalits and activists will together hold rallies and demonstrations at various places across the country on 5 September. "On 15 September, we will hold conclaves against the BJP and the Sangh in 20 states of the country. 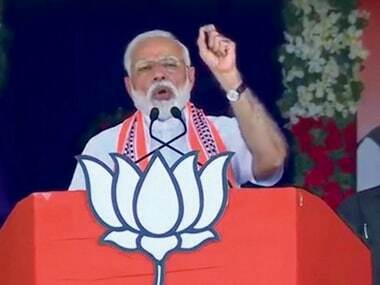 "Out of the arrests that have taken place, what has emerged is that there is a combination of three things — undeclared emergency, fascism and the Gujarat model," he said. The government wants to "terrorise" people who are against the ideology of the BJP and the Sangh Parivar, who want to make the country a secular, socialist democracy, who fight for the rights of Dalits and farmers, and those who can challenge the BJP and the Sangh in 2019. "They want to discredit the Dalit movement and Dalit assertion," he alleged. Mevani also spoke about the alleged assassination plot against Prime Minister Modi and claimed that it was an attempt to generate sympathy ahead of 2019 polls and divert attention from "real issues" such as Rafale, GST, demonetisation, and farmers' issues. In the joint statement, the activists and intellectuals also demanded the withdrawal of all cases under the UAPA and "immediate end to such political acts of vendetta". Speaking at the press conference, Bhushan said, "What is happening in the country? Lynch mobs have been let loose, those who have lynched people are let go off." Dalits and minorities have been attacked and action is taken against those who are attacked instead of those who attacked them. This attack on frontline activists is a "dangerous escalation of fascism", Bhushan said. "What is happening is more dangerous than the Emergency that was imposed," he claimed. Arundhati Roy also raised the issue of the investigation of the Karnataka police into the killing of Gauri Lankesh, saying it had "unveiled several Hindu right-wing organisations like the Sanatan Sanstha... how many of these groups do we know about. With the elections coming, what plans do they have in store for us." She also alleged that educational institutions were being "dismantled", citing the example of the Jawaharlal Nehru University. "The more serious issue is the privatisation of education," she said.